Originally conceived as a heavy metal/hard rock side-project of Simon Iff (aka. The Overtly Melancholic Lord Strange) and Emily Ningauble (aka. Mistress Pentagram) of doom metal group The Lamp Of Thoth, Arkham Witch debuted with the H.P. Lovecraft and R.E. Howard-inspired On Croms Mountain in 2011. By 2012 the duo had become a foursome, and The Lamp Of Thoth had seemingly gone on hiatus. Legions Of The Deep took the beer-swilling hard rock down a notch, but kept the Lovecraft-references flowing. Simultaneously with the release of the band’s third record I Am Providence, the long sold-out sophomore album has been remastered and re-released through Metal On Metal Records. Obsessed with Weird Tales and occultism, Simon Iff’s lyrics deal with the obscure Keighley mystic David Lund, Conan the Barbarian, and of course the Cthulhu mythos. 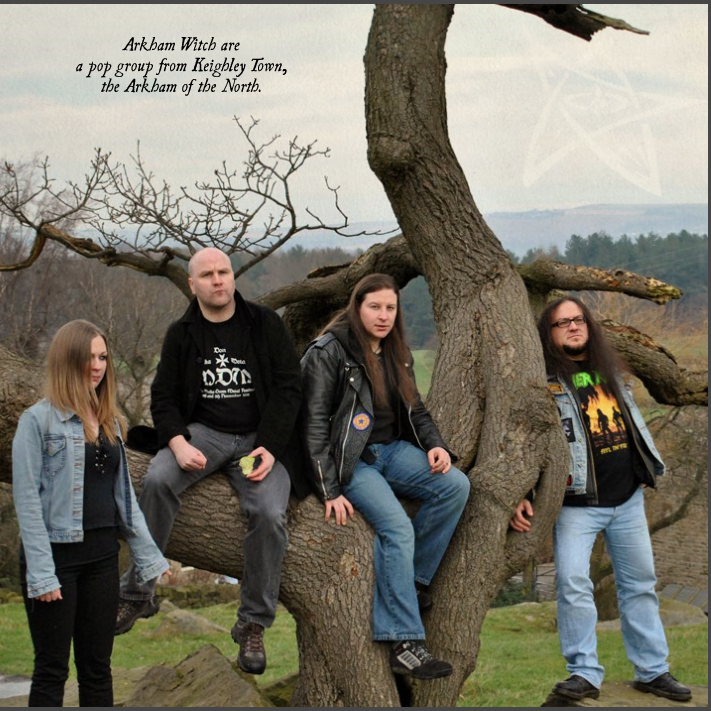 Drawing musical inspiration from classic doom and heavy metal acts such as Witchfinder General, Cirith Ungol, and Manilla Road, Arkham Witch is instantly recognizable from Iff’s unique vocals. Shifting between odd incantations and more traditional heavy metal shouts, the man also happens to be a bit of a riff-machine. Both The Lamp Of Thoth and On Crom’s Mountain had a somewhat tongue in cheek approach, suiting Iff’s vocal contortions and the occasionally rather silly lyrics (“Viking Pirates Of Doom”, for example). The fist-pumping anthems are still here, however. Pounding heavy metal numbers such as “The Cloven Sea” seem tailored for sing-alongs at live performances, while “Gods Of Storm And Thunder” features a triumphant chorus reminiscent of Accept. Although Legions Of The Deep might seem like less like the band is making fun of themselves, there is definitely a sense of unbridled joy running throughout the album. The Respawned remaster gives Legions Of The Deep a somewhat shinier polish, which feels a tad unnecessary but doesn’t hurt the album. Additionally, live clips of two previously unrecorded songs called “Shadow Of The Vampire” and “Yog-Sothoth” are added as a bonus, together with “Viking Pirates Of Doom” from the debut album. The former is another thrashy romp, with galloping guitars and drums that sound like somebody clapping along. The Lovecraftian “Yog-Sothoth” is a doomier number that honestly sounds like it belongs on a Lamp of Thoth album. As with the actual remastering, the live tracks are a decent addition but not essential by any means. 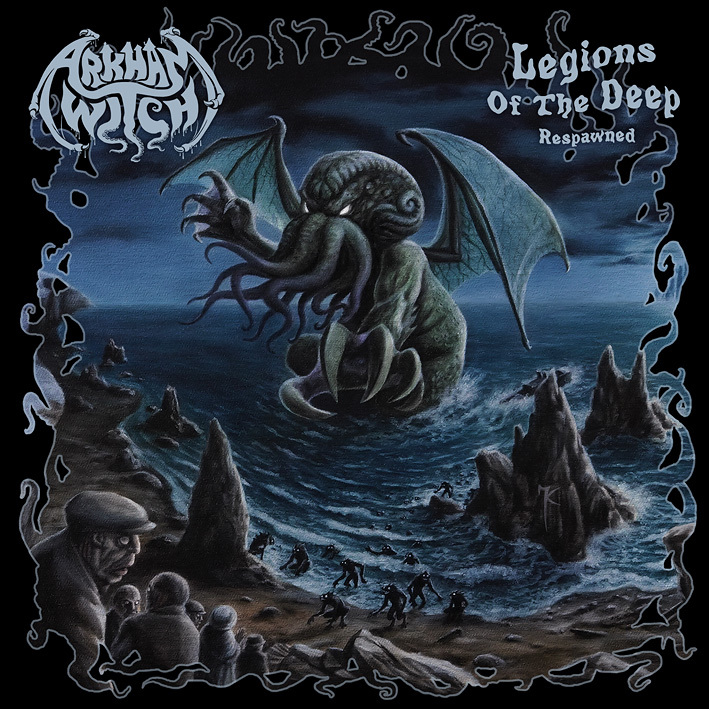 With a booklet that lists a number of writers and bands that they’ve “ripped off”, Legions Of The Deep remains a very enjoyable but somewhat uneven tribute to the gods of storm and thunder. This entry was posted in Reviews and tagged Arkham Witch, Cirith Ungol, doom metal, Heavy Metal, Legions of the Deep, Legions of the Deep Respawned, Magister Templi, Manilla Road, NWOBHM, reissue, remaster, The Lamp of Thoth, traditional heavy metal, Witchfinder General.